Friendship and mentorship are recurring themes in the Star Wars saga. Many of the challenges faced by the heroes require them to rely on the support or wisdom of others. As is obvious by the word “wars” in the title, many of those challenges are high-stakes indeed – light vs. dark, life-or-death, fate-of-the-galaxy situations. Over time, continued stress of this level can wear upon a person, putting them at risk of psychological injury. Not even the most powerful Jedi are immune to such dangers. How did Yoda approach the issue, and what can it teach us? In “Voices,” the eleventh episode of Star Wars: The Clone Wars Lost Missions, Yoda begins to hear a voice that he believes is that of the long-dead Jedi Master Qui-Gon Jinn. Yoda questions his own psychological well-being since nothing that the Jedi know of the Force tells them that this can be true. When Yoda bravely requests the assistance of his peers on the Jedi Council, they agree without delay. In what I believe is one of the most beautiful scenes of the entire series, the masters meditate together with Yoda through the night and into the next day. 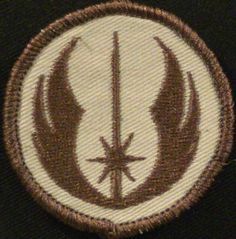 The Council finds no answers; however, their actions show the compassion and desire to help that is at the heart of the Jedi specifically, and good people in general. Later in the episode, Yoda consults a doctor, undergoes an experimental treatment, and finally embarks on his own personal mission of discovery – with a happy heart at that. The three-episode arc is fantastic and definitely among my favorites of the entire series. In this post, though, I’m confining my commentary to Yoda’s experiences in the first episode, as just discussed. Yoda realized that he had personal troubles, sought help, and bettered himself. Yoda, the oldest and wisest of the Jedi, risked being doubted by many of his former students or potentially losing his seat on the Council if they questioned his ability to lead. Here on this world, too, admitting one’s own insecurities or personal problems can be difficult. Fear, embarrassment, or shame, for example, may cause people to keep their feelings to themselves. Taking the first step, as Yoda did, to ask for help is a daunting one indeed. Due to some of my experiences in my own “Clone Wars,” I’ve had some recurring issues for over a decade. Several months ago they came up again, affecting my personal and professional lives. Knowing that I would fare better if I had help, I consulted with several Twitter friends to ask their advice. One person put me in touch with a professional in the field. Her recommendations were spot on and enthusiastic. After discussing some options and doing my own research, I decided upon a course of action and followed through with it. I kept in touch with my new advisors for several reasons: I wanted them to see the fruits of their labor, to know that I was doing better, and to keep myself on the right path. Using them as “accountability buddies” inspired me to keep going despite lingering doubt. Luckily for me, both of my professional personas have a powerful support network. My civilian job is to support military personnel, and I am still a Reservist, so I am surrounded daily by people who understand post-traumatic stress and other such issues. Whether online, on the phone, or in person, I can reach out for help around the clock if I need to. What about Anakin Skywalker, then, in Star Wars: Episode III Revenge of the Sith? When troubled by his visions of Padme’s death, Anakin sought the counsel of Yoda. Unfortunately for Anakin – and the Republic – Yoda’s advice was far off the mark. Yoda advised Anakin to sever all attachments and not worry about the potential deaths of those he cared about. While that may have been standard advice from the Jedi handbook, it was not the right answer for Anakin… and Star Wars fans already know how that worked out. Yoda was courageous & self-aware enough to ask for help during Star Wars: The Clone Wars. However, when someone else came to him for similar assistance not long after (canonically), Yoda did not extend the same courtesy that he had been given himself. Still, we know that Yoda’s foresight was clouded by the Dark Side during those times, and it would be unfair anyway to hold the writers responsible for not linking these two relatively minor scenes. The learning point remains, though, that if troubled people get good advice when they ask for guidance, the end results are far more likely to be positive. Good support systems can help prevent, mitigate, or even repair mental health problems. As Yoda demonstrated in “Voices,” it’s wise to explore therapy (the Jedi are healers and counselors, after all) AND medical options, if necessary. If at all possible, one should always remember – again, as Yoda did – that each person needs to walk their own path and find their own way. It’s just that much more helpful if one has friends to help support that journey. Next article 'Star Wars: The Force Awakens' Receives Five Oscar Nominations!